Any bongo mechanic in Lleyn Peninsula? new c&cc site nr tenby all to ourselves! Whitch is best coolant level gauge ? 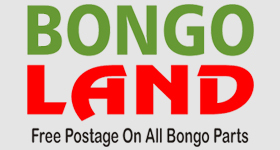 Have just discovered the existence of the glorious Bongo! Hello! Newbie advice please for a new wheel. Hello all from Sunny Bangor!! Hello and a bit of help needed please. Bongo specialist garage Nr penygroes/ruthin? Experienced Garage in the South Wales area?